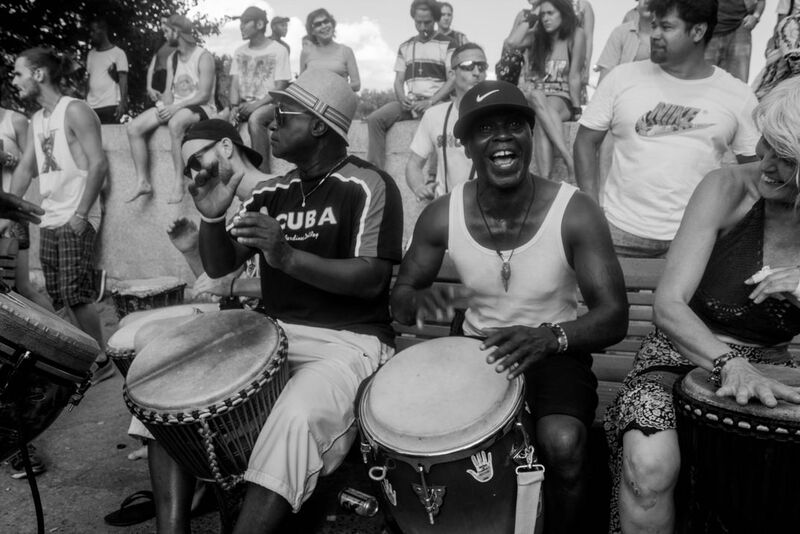 This drummer's smile shined through the maze of people at this large drum circle at the Parc du Mont Royal in Montreal. I navigated my way through the crowd to the center of the circle and observed the many people playing together. This community gathering was open and welcoming to anyone who wanted to play along.